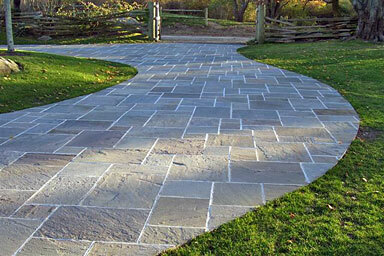 Tompkins Bluestone is a family-owned and operated business located in the Catskill Region of New York State. 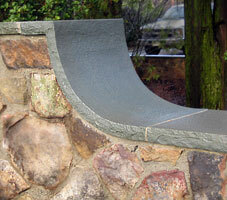 We take pride in our reputation for being the premier bluestone fabricator for restoration and custom fabrication projects. We also supply stone to selected distributors throughout the east coast. As innovators in our industry, Tompkins has developed some exciting new products. We are pleased to exclusively offer our customers gauged bluestone tile and a variety of bluestone products treated with an accelerated aging process. Our state-of-the-art facilities allow us to meet the needs of our most discerning customers. We work closely with engineers and architects. Natural stone is the perfect choice to create lasting beauty whether it be indoors or out. Tompkins Bluestone can supply stone for your pool, patio, wall, steps, fireplace, countertops and flooring needs. No job is too big or too small for Tompkins. Tompkins Bluestone participated in the 2016 International Surface Show in Las Vegas. We are excited to launch our new website and hope it gives you some ideas for your next bluestone project. We are happy to review your project needs, so please contact us to discuss! Collaborative platform for home remodeling and design. To view natural bluestone pictures, click here. © Tompkins Bluestone Co., Inc.